Pink Castle Blog: New blogger bundles! Hi there! Check out these new bundles! First up, there's Valley Girl, curated by Rossie. I am digging the shades of mustard and raspberry here! 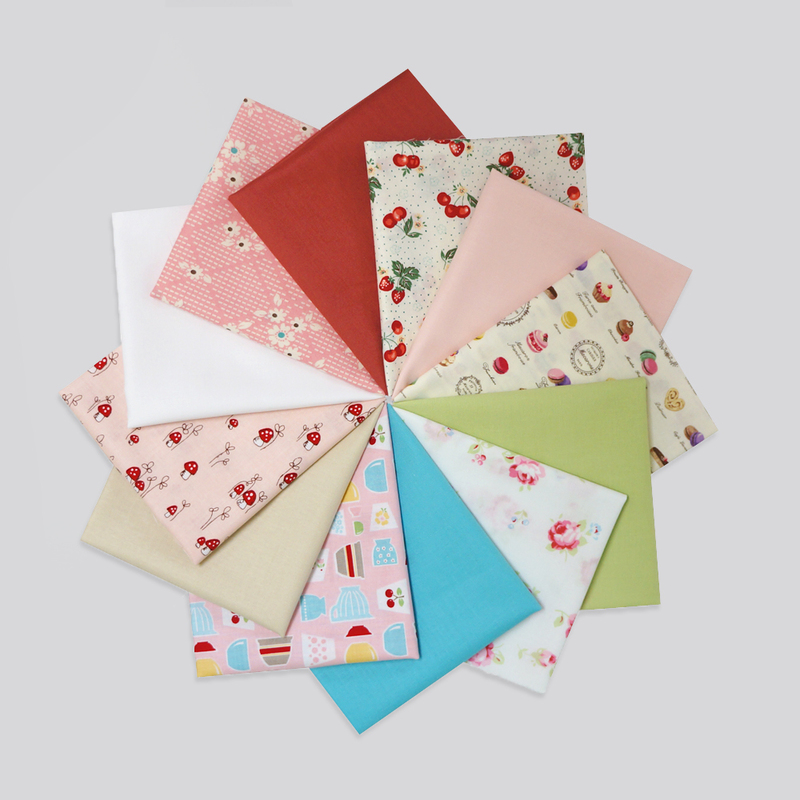 We've also got this lovely selection, from Kristyne, called Pretty Pairings. This one is so soft and romantic. There's lots of great bundles available right now. 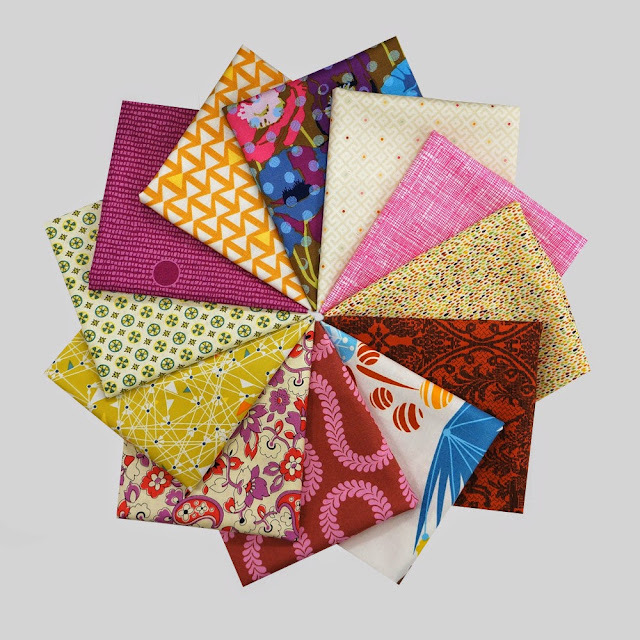 I consider them to be a great stash enhancement, but a bundle can also be an easy way to plan a new quilt. With just a few additions of solids and other prints, you can easily make a quilt top for you or a friend! 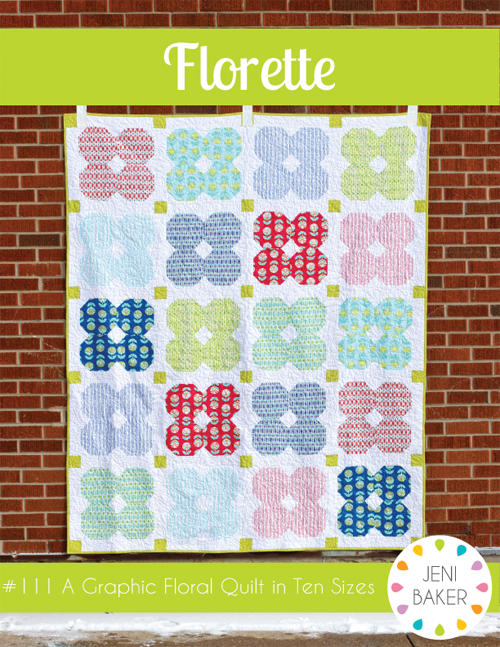 Either of these new bundles would look lovely in Jeni's new Florette pattern. Or, you could make a lovely triangle quilt, like this one by Riddle and Whimsy, found in the Pink Castle flickr pool.